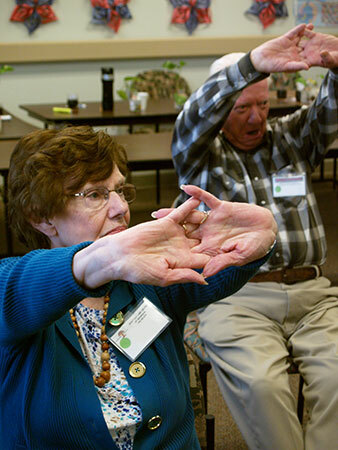 The Adult Day Care Centers of Las Vegas and Henderson are Committed to a Community of Caring. Keeping an elderly loved one at home as long as possible is a goal that many of us share. But having the assurance that our loved one is safe and well cared for is what makes the Adult Day Care Center of Las Vegas a feasible alternative. We strive to become an extension of your home environment with caring, personalized service. A respite from 24 hour responsibility. An alternative to expensive in-home care. The ability to keep your loved one at home longer. The assurance your loved one receives needed nursing and social interaction. The Adult Day Care Centers of Las Vegasand Henderson will help many families avoid or postpone nursing home admission, bridging the gap between home and nursing home care with compassionate, professional care. Those with cognitive problems such as dementia, confusion, and Alzheimer's disease. Those with special medical needs such as diabetes or hypertension. Those with neurologically related problems such as Parkinson's disease, post-stroke, or traumatic brain injury. Each of our participants have their own comprehensive, coordinated treatment plan, developed in consultation with the participant's private physician. Two nutritious meals and two snacks daily– special diets and feeding support accommodated. Extensive programming: painting, crafts, dance, drumming, tai chi, fitness, laughing yoga, poetry, music therapy, etc. We dare to Care! ~ Dedicated to Community Living with Independence and Dignity! Nevada Senior Services is a non profit, 501(c)(3) organization. We turn no one away because of an inability to pay.